Home » Double Glazed Sash Windows • Sash Window Advice » The benefits of thin double glazing versus standard double glazed units installed into my original sash windows. Thin double glazing units are one of the best technological advances to come from sash windows in the last forty years. Thin double glazing has made it possible to double glaze almost any original sash window. London has millions of sash windows that will benefit from thin double glazing. The cost of replacing original single glazing with thin double glazing is in the region of £680 per window including a full service and draught proofing system. This wonderful new technology has just made double glazing of sash windows affordable to every home in London then! The benefits of thin double glazed units far outweigh their extra cost over standard double glazed units because no alteration to the rebate is required to install. We simply remove the old glazing and clean off the old putty as we would normally if replacing glass, then install or bed the glass down with a Butyl putty and the process is nearly as simple as a single glazed pane of glass to replace making yet another case for repair over replacement of sash windows. The glazing is so slender that it is absolutely ideal for conservation and listed building works. I am aware of many listed buildings that have been granted permission to have this double glazing upgrade and it is now widely accepted and even welcomed. The glazing itself is so unobtrusive, that if not for looking inside the putty line from point blank distance, you would have no way of knowing that your window would be double glazed. Combined with draught proofing thin double glazing produces exceptional acoustic and thermal results. The very smallest units are just 9mm in total, only 2.6mm more than laminate safety glass, but produce a U-Value of 2.1. A very welcome number in busy London. This is incredible considering safety laminate glass U-Value is 5.7 by comparison. The air gap and uprated glazing is producing a whole 3.6 W/(m2,K) reduction. This is figure is based on Pilkington Glazing’ own assessment of their 6.4mm laminate. The numbers are undeniable and a testament to the brilliance of the new technology available to sash windows. The sealed units are made with a slender spacer bar to install neatly into an original sash rebate. It’s often been said that this type of unit is inherently weak and misting occurs easily. This is simply not the case, more often than not it is a case of incorrect putty or sealant used to bed the thin double glazing unit. It is absolutely essential that there is a couple of millimetre clearance around the unit so that silicone can bond and seal the unit correctly. This type of unit breakdown is not only common within thing double glazing, but more a widespread problem of incorrect technique being applied. I’ll say it again it’s that important, we must allow a couple of millimetre clearance around the unit so that silicon can bond and seal properly. If this is carried out to exacting standards then the lifespan of a thing double glazing unit is going to be ten years plus. It is a fact that rebating a sash more deeply for a standard double glazing unit will reduce the sashes strength. Certainly not by any amount that will have short, or medium term impacts. There is a possibility way down the line, much after the double glazed unit fails, that this may become an issue. With thin units installing directly into the original rebate this is not a concern. Since we’ve covered all the benefits it would seem reasonable to pick flaws in this advanced technology. Earlier thin double glazing units had a tendency to shift and touch each other in the centre of the unit. This left an annoying white spot, like a sand blasted effect. I’m not sure to this point I understand why this would happen, If the unit is filled with inert gas then surely the unit pressing together would not happen. Did this mean there was an air leak or the unit defective because of poor installation. I can honestly say I do not truthfully know. I can however say this is an issue I have not seen in later thin double glazing units. It doesn’t matter what way you make your calculations, a larger air gap with more inert gas create a better insulator against heat and noise. 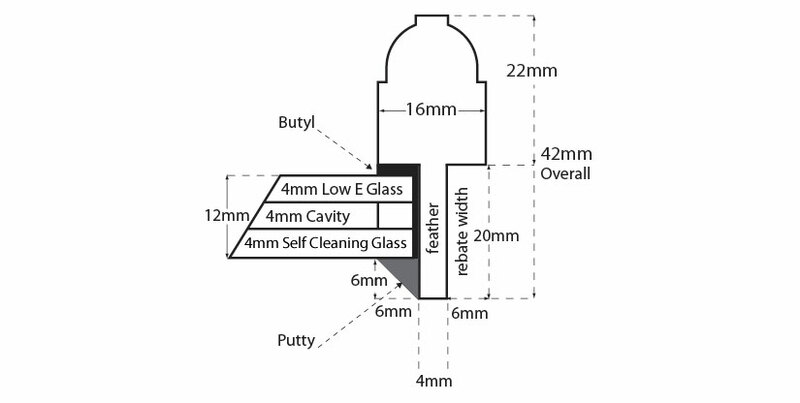 A 4mm air gap is far inferior to an 8mm air gap achievable in some cases of replacing single glazed for double. Some sashes about 37mm will easily take a standard 4-6-4 double glazed unit. Not only is this cheaper, the efficiency of the unit is also uprated. The cheapest standard double glazing existing sash windows service will cost £480 per window when compared to £620 with a thin double glazing unit. The prices are still extremely affordable for double glazing, but thin double glazing is clearly 20% to 25% more expensive and is inferior. We talked about the lifespan of a thin unit being excellent, however if we are to directly compare a thin unit with a standard low-E double glazed unit from Pilkington, with exactly the same installation technique, then the standard unit will last longer. Both units are excellent and there isn’t a lot of difference but we should be as accurate in description and lifespan as we can. A thin unit that is 3mm glass – 3mm air gap – 3mm glass is not as secure and strong as a 4mm-8mm-4mm unit from Pilkington. The glass is not as heavy and durable. We are still picking hairs though because breaking into any double glazed unit is no easy task. If you’ve ever been unfortunate enough to see a broken double glazed unit then you’ll understand that climbing through would be dangerous and very uncomfortable. Lead times can become a problem on jobs with a real urgency. The thin double glazing unit will take a couple of weeks to arrive from point of ordering and paying for the unit. If your projects really pressing this will not workout well. Also it should be noted I have received incorrect units, both sizes and thicknesses. Mistakes happen and let’s point out everyone made has a replacement sent with apologies free of charge, but when it is time critical a standard unit cannot be beaten on delivery. In most cases a quality standard unit can be manufactured and sent next day if the additional costs are paid. Currently for thin double glazing, there is no way to receive a unit more quickly than a couple of weeks. Interestingly a standard double glazed unit will produce a neater finish. When we install a standard double glazed unit we need to rebate depth and width. With a precision cutter we make a fresh cut into timber, often leaving a nearly new looking rebate. 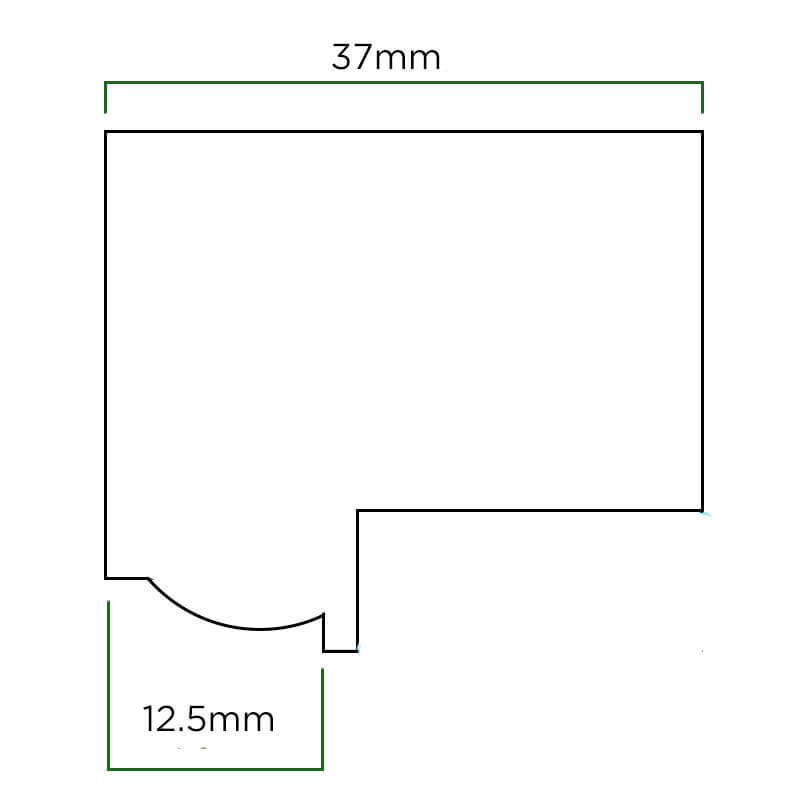 The image below shows a rebate cut back to allow for a standard double glazed unit. In the event we are using thin double glazing we do not cut back to fresh timber, so any previous scars from glazing replacement will remain. It’s something that can be tidied up by a quality decorator. Overall there is not a great deal of difference between thin double glazing and standard double glazed units. If I had to pick between the two. Actually before I had to pick I would recommend sash window draught proofing first as it’s superior pound for pound to both options, but, if I had to pick, in a typical London property, I would choose a standard unit because it will be superior in thermal and acoustic efficiency. It will also be more secure, and cost about 20 to 20 percent less. As well as that being more readily available in the event one is broken or sent the wrong size. It means the chances of disrupting a clients schedule is considerably reduced. For a company priding ourselves on top service thats important to me. In a London property that is listed, hands down it is the thin double glazing that wins every time. Not only is a standard unit difficult to pass, it is never specified in place of thin units and therefore a non runner. The reason being thin units look incredibly much like the original single glazing when finished. This is a real win for listed property owners and we are very pleased that finally there is an acceptable option on the market for owners of such quality buildings with the added benefit that the whole process is remarkably affordable even at listed building level.